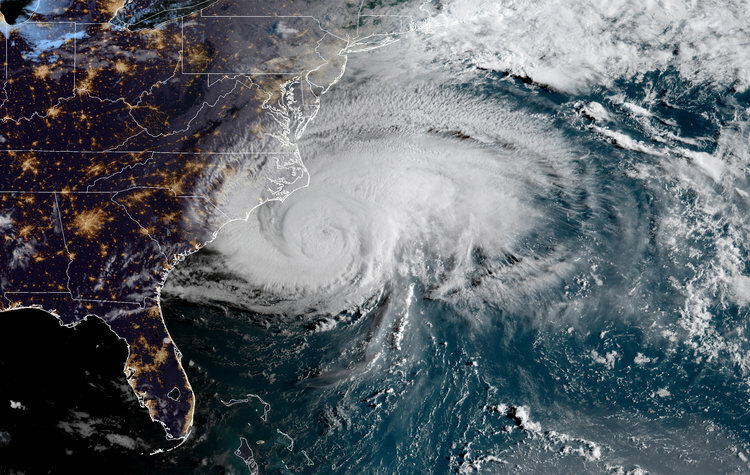 In this tutorial, you will use geospatial data to plot the path of Hurricane Florence from August 30th to September 18th. Spatial data, Geospatial data, GIS data or geodata, are names for numeric data that identifies the geographical location of a physical object such as a building, a street, a town, a city, a country, etc. according to a geographic coordinate system. From the spatial data, you can find out not only the location but also the length, size, area or shape of any object. An example of a kind of spatial data that you can get are: coordinates of an object such as latitude, longitude, and elevation. Geographic Information Systems (GIS) or other specialized software applications can be used to access, visualize, manipulate and analyze geospatial data. Geospatial data has a vast number of applications in our daily life. One example is the Maps application that you use to navigate from one location to the others. Another one that you may see every day is on the weather channel. Yes, geospatial data is used to represent position information of something with respect to other things around it: your house on the city map, the hurricane on the world map and so on. So in this tutorial, you will take a look at the destructive hurricane Florence and track its location. Don't skip ahead. This is an important part. If you are not sure you've satisfied the requirements, just check again. First and foremost, you will need to have all the packages below installed. GeoPandas: extends the datatypes used by pandas to allow spatial operations on geometric types. PySAL: a library of spatial analysis functions written in Python intended to support the development of high-level applications. If you are using Windows and can't install the package that way, check this website to download the related packages and do pip install PATH_TO_PACKAGE. You will also use the US map geospatial data from the internet. This blog post by Eric Celeste has all kind of boundary data files for US counties and states. 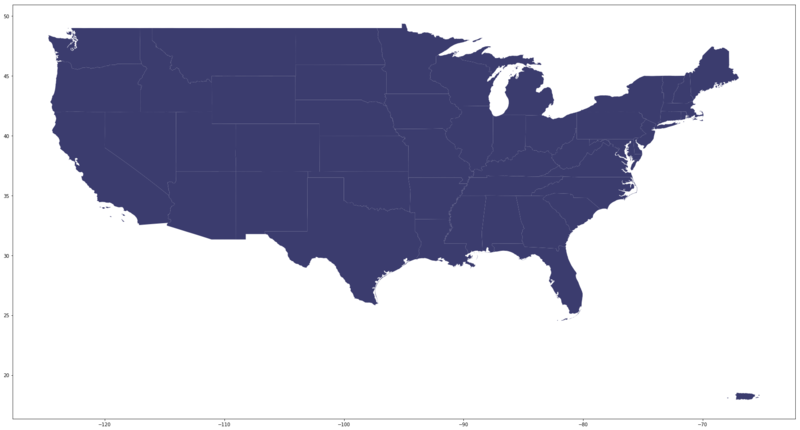 The data used in this tutorial is the US States, 5m, GeoJSON file. Checking the type of the dataframe that you just load in, you can see that it's Geo Data Frame, which has all the regular characteristics of a Pandas DataFrame. Checking the data type of the column containing coordinates: it's GeoSeries. Checking missing values using the missingno package. This is a useful package using visualization to show missing data. As you can see below, there's only one missing value in the column "Forecaster" which you don't need for this tutorial. So you can ignore it for now. Take a look at some statistical information, some could be very useful such as mean wind speed, maximum and minimum wind speed of this hurricane, etc. For most data, you will need to clean up and take only what you need to work on. Here, you only need the time, the coordinates: latitude and longitude, Wind speed, Pressure, and Name. Movement and Type are optional, but the rest could be dropped. Then you can combine Lattitude and Longitude to create hurricane coordinates, which will subsequently be turned into GeoPoint for visualization purpose. Checking the type of the florence dataframe and column coordinates of florence data. It's pandas DataFrame and pandas Series. After converting the data into geospatial data, we will check the type of florence dataframe and column coordinates of Florence data again. Now it's Geo DataFrame and GeoSeries. Notice that even though it's now a Geo DataFrame and Geo Series, it still behaves like a normal DataFrame and a Series. This means you can still perform filtering, groupby for the dataframe or extract the min, max, or mean values of the column. # Filtering from before the hurricane was named. So the average wind speed of hurricane Florence is 74.43 miles per hour (119.78 km per hour) and the maximum is 140 miles per hour (225.308 km per hour). To imagine how scary this wind speed is, the website Beaufort Wind Scale, developed by U.K Royal Navy, shows the appearance of wind effects on the water and on land. With the speed of 48 to 55 miles per hours, it can already break and uproot trees, and cause "considerable structural damage". You don't want to be there at this moment. What happened? All you can see is a bunch of points with no navigation. Is there anything wrong? No, it's all fine. Because this dataframe only have coordinates information (location) of hurricane Florence at each time point, we can only plot the position on a blank map. So, the next step is plotting the hurricane position on the US map to see where it hit and how strong it was at that time. To do so, you will use the US map coordinates (data we loaded in the beginning) as the base and plotting hurricane Florence position on top of it. Color the hurricane position based on the wind speed to see how strong the hurricane was when it hit each city. So the hurricane was strongest when it's offshore near the east coast. 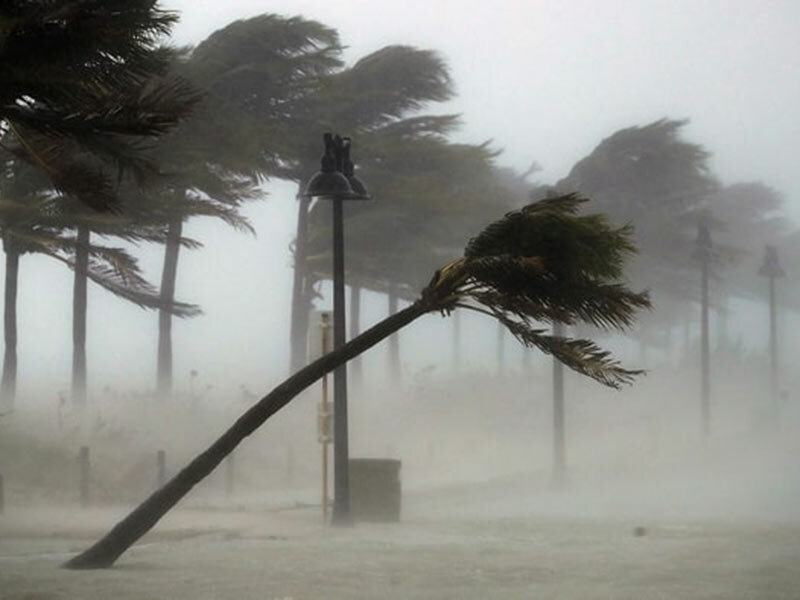 As it approached the land, the hurricane started losing its strength, but at the wind speed in range 60 to 77 miles per hour, it can still make horrible damages. Great work! You have learned some necessary steps to work with geospatial data in Python. You also learn how to plot the geospatial data and customize the shape, color, and overlay of plots to show a story. If you want to practice your skills, there is a ton of geospatial data available online for you to try your hand on. 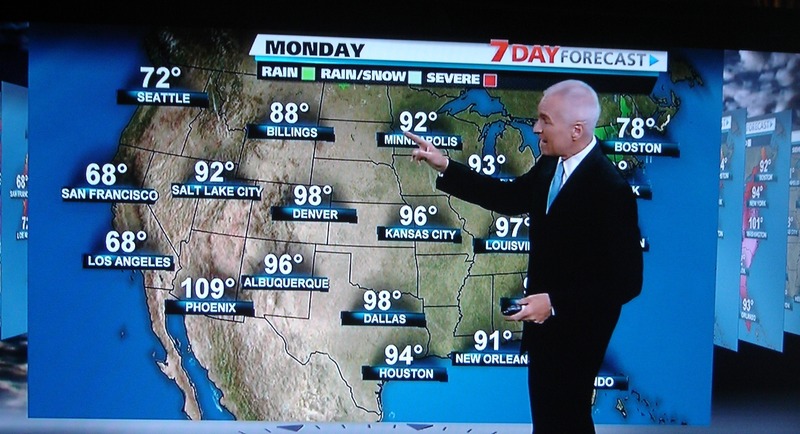 One example is the weather website that I provided above. For sources, please take a look at this book: “Python Geospatial Development Essentials” by Karim Bahgat (2015) for deeper guidance. If you'd like to get in touch with me, you can drop me an e-mail at dqvu.ubc@gmail.com or connect with me via LinkedIn. Have fun learning and stay safe! If you would like to learn more about geospatial data in Python, take DataCamp's Visualizing Geospatial Data in Python course.